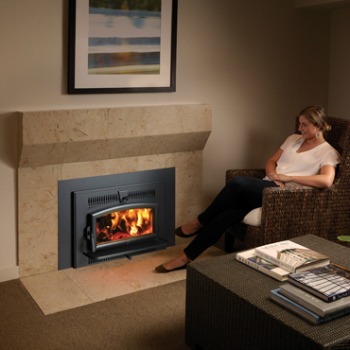 ​​The FPX Flush Wood Hybrid-Fyre | Small Fireplace Insert is a compact unit that can fit where most inserts can’t. 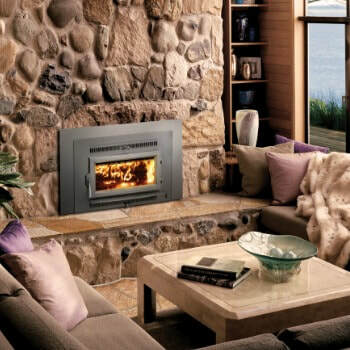 This small wood fireplace insert can heat up to a 1,000 square foot space. This unit is perfectly sized for small zero clearance and masonry fireplaces. For simple and fast installations, the unit features an innovative flue connection with a detachable flue collar. A gorgeous fire display area is enclosed by an attractive door. This small but mighty unit is exceptionally clean burning thanks to the Hybrid-Fyre™. With practically no smoke escaping, the Hybrid-Fyre delivers 76% overall efficiency and creates only 0.89 grams of emissions per hour. Consider adding the GreenStart™ igniter option, to start your fire with a quick push of a button.